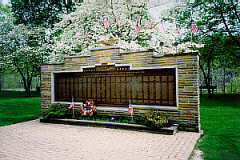 Above: Brackenridge, PA: "LEST WE FORGET...DEDICATED TO LIBERTY, JUSTICE AND EQUALITY." 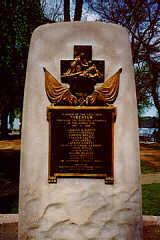 Erected after Second World War. 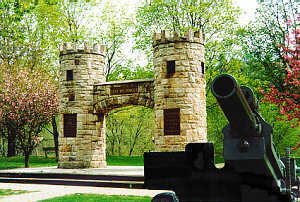 Brackenridge: "DEDICATED TO THE MEN AND WOMEN OF THIS COMMUNITY WHO SERVED THEIR COUNTRY IN TIME OF WAR AND IN MEMORY OF THOSE WHO MADE THE SUPREME SACRIFICE." Brackenridge: "WE WILL REMEMBER VIETNAM." 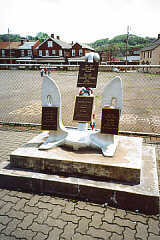 Tarentum, PA: "IN MEMORY OF THE BOYS OF 1861-1865 FROM TARENTUM AND VICINTY." 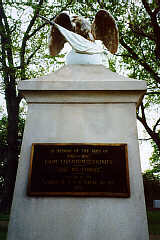 Erected 1923 by Ladies of GAR Circle No 40. 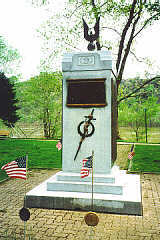 Tarentum: "IN HONOR OF THE MEN FROM TARENTUM WHO MADE THE SUPREME SACRIFICE IN THE WORLD WAR 1917-1918." 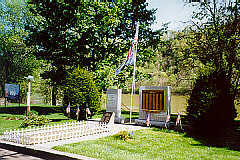 Tarentum: Veterans of the Second World War. Natrona Heights, PA: HONOR ROLL HARRISON TOWNSHIP. 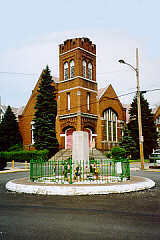 Natrona, PA: World War Memorial. 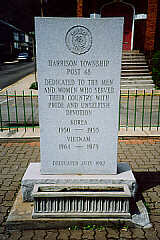 Natrona: In honor of veterans of Korea, 1950-1955 and Vietnam, 1964-1975. 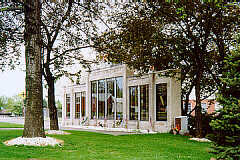 Natrona: Veterans of WW I, WW II, Korea, Vietnam, Lebanon, Grenada, Desert Storm. 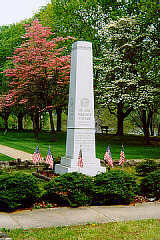 Freeport, PA: "IN HONOR OF THE VETERANS WHO SERVED THEIR COUNTRY IN WAR AND PEACE." Copyright 1999-2014 by Darren McPhilimy, All Rights Reserved.